The generous number of bedrooms makes Le Verger an ideal destination for extended family gatherings, reunions and celebrations. The rooms include dormitory style arrangements as well as small double rooms tucked away in a peaceful corner of the house – perfect for mixed-generation groups. We have a marquee and can therefore accommodate parties up to 80. 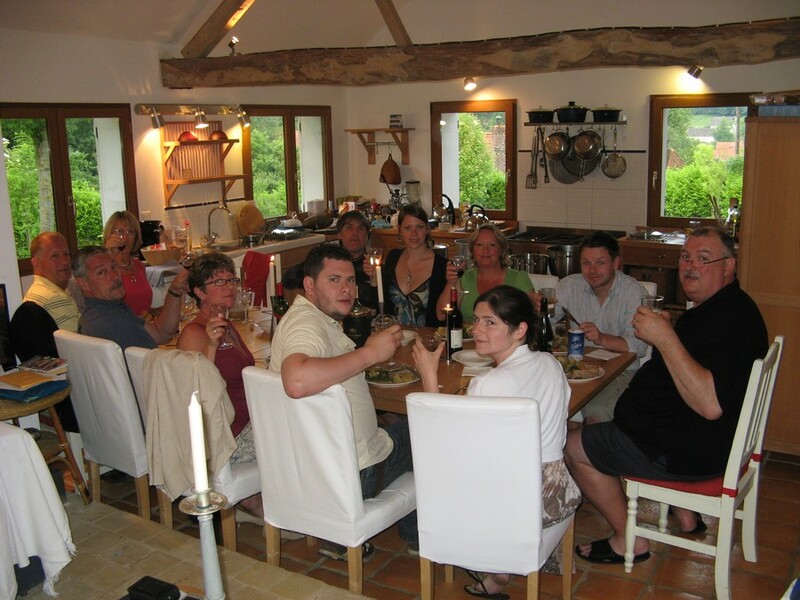 The whole house is equipped with amenities designed to ease the pressure of catering for large groups. In particular, we have plates, cutlery and glasses for parties of up to 30 people and two dishwashers to cope with the constant flow of dirty crockery! There are also five separate shower areas and ample space for on-site car parking. We have tried and tested contacts for imaginative local caterers, musicians and efficient service staff who can help make your party a really happy and memorable occasion.